Here at Double Glazing Quoter, we have created our very own conservatory cost calculator. This clever tool features a wide range of conservatories including the classic Lean-to, Victorian, Edwardian and Gable styles. Designed to help customers get an easy online conservatory cost, our conservatory costs calculator allows you to create multiple online quotes. Our conservatory quote calculator also enables you to compare conservatory costs and styles. Create as many online quotes as you want. The conservatory cost calculator provides you with many different conservatory choices. When you are building your online conservatory quote, you can select the type of roof you want. The options that you can add to your free conservatory quote are polycarbonate, glass and solid or tiled roofs. There are many of advantages to each of these roof types. Why not create a few quotes for conservatories and compare prices. A polycarbonate roof will generally be a cheaper option. If you are looking for a cost effective solution then this might be the right choice for you. You can choose from several tint options with a polycarbonate roof. These will reduce the glare from the sun. Glass roofs are another option to consider. A glass roof will be more expensive than polycarbonate but it is generally longer lasting. They will be quieter than polycarbonate when it rains. You can also get anti-glare glass roof options. Tiled roofs (sometimes referred to as ‘solid roofs’) are becoming increasingly popular additions for conservatories. They will offer more thermal insulation so will retain heat in the winter. Tiled roofs are strong and durable so are therefore a long-lasting product. They will help you achieve a traditional look and can be added to match your existing property. Calculating your conservatory cost is easy with our conservatory cost calculator. Simply enter your conservatory roof requirements into our cost calculator and receive your unique conservatory cost within minutes. It really is that easy. Our conservatory cost calculator will even send you a link to your online quotation via email so you can view your conservatory costs at anytime. We have helped many customers get quick online costs for their conservatories. Our conservatory cost calculator is absolutely free so why not start your free online quote right now, click here to begin your free online quote. When you get your free conservatory quote online you can select the installation option you want. There are three options to choose from. Firstly, full build, which includes everything. Base work, building work, frames and roof. Essentially, building from scratch. Secondly, survey and installation. This option does not include the base work or building work. Therefore, you will need an existing structure or hire a builder to carry this out. The frames, windows and roof are included. Finally, supply only. This option means you will need to install the conservatory yourself. Alternatively, if you have hired a builder, this may be a good option. It can be more cost effective to choose supply only. However, you will not receive the same warranties as with a full build or survey and installation. When you use our conservatory costs calculator you can create quotes for all of the above options. This way you can compare the costs. You can then make a decision as to which service you require. As mentioned, our conservatory quote calculator offers a number of different conservatory styles. Therefore, you can create multiple quotes for different conservatories. Some of the most popular styles that our conservatory quote calculator has are listed below. This classic style will add a touch of elegance to your home. Victorian conservatories have steeply pitched roofs. These are often finished with decorative crestings and finials. Victorian conservatories are a statement addition to a home that will really make an impact. You can have a Victorian conservatory in various specifications but triple-faceted is the most popular. This means there are three main windows to the structure. They are however available in large sizes, for example a five-faceted design. 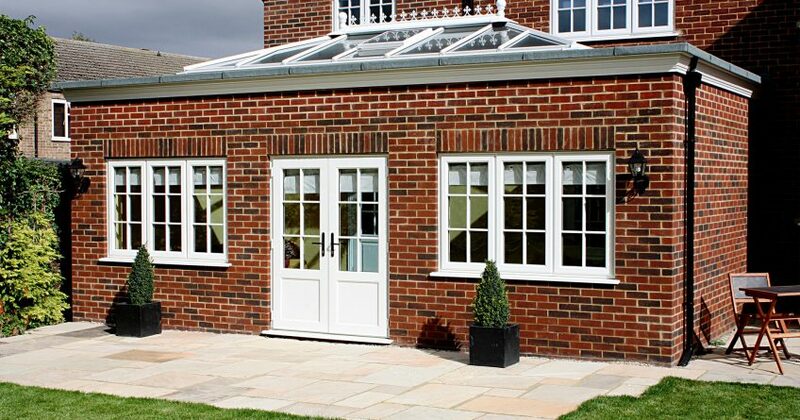 Another traditional design, Edwardian conservatories are a more understated option to the Victorian. They have straight lines and symmetrical shapes giving a sleek and clinical aesthetic. The uncomplicated design maximises space and is therefore ideal for uses such as a dining room or living room. Edwardian conservatories are perfectly suited to older and new properties alike. 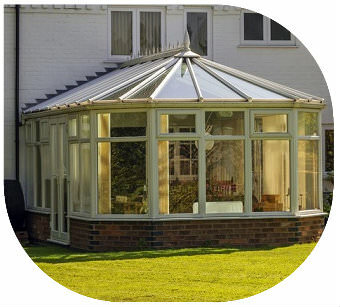 This is by far the most popular and common style of conservatory in the UK. A Lean-To provides every home with an additional practical and useful space. Whether it’s a play area or utility room, a laundry room or an extended porch, this flexible option gives all types of property, much needed added value and room. A lean-to is a popular option if you have limited space as they can added to most properties even with small build areas. 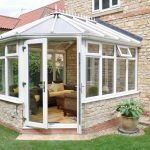 They are also a cost-effective way of adding a conservatory to a home as they tend to be cheaper than other styles. A gable end conservatory is a great choice for the homeowner looking to make a statement. The roof does not slope at the front like other styles so their flat frontage gives a real sense of grandeur. They are often finished with a rising sun design which also adds a touch of panache. Ideally suited to traditional-looking properties, gable end conservatories are a great way to extend a home. Their right-angled design means you will maximise space. This makes them perfect for a second living room or function room. The great thing about modern conservatories, is that nowadays, you can build virtually whatever you like! Whether its a P-Shaped, T-Shaped or combined Lean-To with Gable Ends; every home is different and within reason, everything is possible. There are many different options for doors in your new conservatory; French doors, patio doors or even bi-folding doors. Each style and material of door (whether uPVC or aluminium) will come with different options such as colours, handles, hardware, locks etc. Subsequently, your choice will affect the overall price of the project. Double Glazing Quoter has a national network of trusted local suppliers all over the UK. Our wide network allows us to put you in touch with some great double glazing companies, helping you to get a fantastic deal on your conservatory. Once you have completed your online quotation, we can then put you in touch with reputable installers in your area. We can put you in touch with both local and national installers. This therefore gives you the best of both worlds so you can see what is available in the marketplace in terms of products and prices. All of our suppliers are regularly monitored by us and will therefore certainly provide you with a professional survey, supply and installation service. Each installer will contact you, arrange a convenient time to carry out a free site survey, show you their products and give you competitive conservatory prices. They will also offer a free conservatory quote with no obligation. Quality conservatories are only a click way. 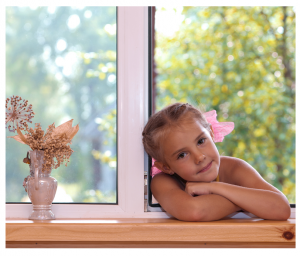 Start your free online quote today with Double Glazing Quoter. Click the button below to begin your free, no obligation quote with our conservatory cost calculator. You can also contact us on: 0800 954 8085 where our friendly team await your conservatory call. Below are some conservatory price tables for handy at-a-glance prices. This will give you a ballpark figure of cost, however for a more accurate quote we would recommend you use our conservatory cost calculator. This will let you choose options and tailor your quote so it is more representative of your needs.